“Lake Monster Traditions: A Cross-Cultural Analysis” is the English translation (or version) of an originally French-language book published in Quebec. The British publisher has the humorous name Fortean Tomes. May I guess that it's connected to Fortean Times? Interestingly, the authors of the tome are skeptics, which raises the question why the semi-official organ of Forteanism would publish it? My guess is that the monstrous volume of fascinating information got Fort's disciples hooked on this project – that, and creating chaos and mischief, something Fort would have greeted with some satisfaction! The book analyzes traditions about both lake and sea monsters from French-speaking Canada, Europe and Chile. Chronologically, we are dealing with the entire period from the Renaissance until the early 1970's (the tome was published in 1988 – my copy has a peculiar insert dated 1989). Most of the book is written by Michel Meurger, a French folklorist. 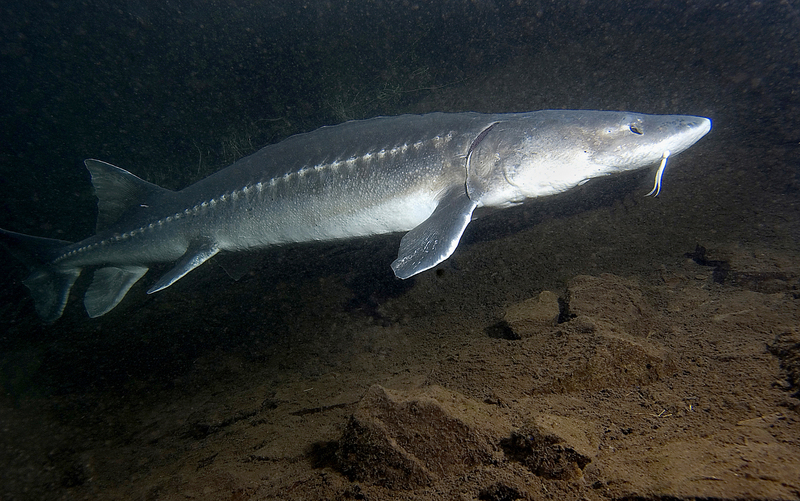 The authors try to avoid the more famous lake monsters, such as “Champ” in Lake Champlain or “Nessie” in Loch Ness, probably to emphasize that they are part of a *much* larger problem-complex. Sources include interviews with eye-witnesses and amateur monster-hunters, dusty volumes of old books, and newspaper clippings. The book's layout is somewhat confusing, with the pictures and picture-captions not always corresponding to anything in the main text. Meurger argues that both crypto-zoologists and modern skeptics have “secularized” old folklore which was really part of a symbolical, mythological landscape with only tenuous connections to “real” animals. To the crypto-zoologist, the lake monster is an unknown animal, or perhaps a known animal previously thought extinct. To the skeptic, it's a misidentified known animal, or simply a floating log. Both miss the point. The original monster-legends feature creatures which are absurd and obviously impossible from a biological viewpoint. Examples include “the water-horse”, mermaids, extremely large snakes *on land* which then move to the sea, or chimaeras. Often, these beings are associated with the supernatural: strange lights, fairies or shape-shifting. They function as portents for disasters, or even the apocalypse itself. They are also symbolic, such as snakes coiled like an Ouroboros. Sometimes, diffusion of monster motifs can be followed rather exactly, as when European monsters were suddenly spotted in Canada by French settlers. Meurger believes that the process of gradual “secularization” can be followed at the small Swiss lake of Selisbergsee rather exactly from 1584 to 1926. The local monster, the Elbst, was originally conceived as a ghostly shape-shifter and supernatural portent, and was transformed only later into a dragon-like creature. Even later, it simply became a “Big Fish”! That being said, echoes of the mythological landscape survive even in modern accounts at many locations, something obvious from the book's detailed description of Quebecois lore. The monsters don't always conform to the Nessie-plesiosaur stereotype. Often, they are said to have horse-like heads with manes (compare the “water-horse”). The monsters are said to inhabit the deepest and darkest parts of the lake, where the bodies of drowned men are never found. There are frequent legends about underground rivers connecting different lakes with one another. They can also be associated with isolated islands. The locals may regard the monster-haunted lakes as “evil”, and try to avoid them as much as possible. In other words: monsters are liminal creatures, found at the boundaries between the dead and the living, or between the wild and the civilized. Meurger makes the intriguing observation that the “misidentified floating log” beloved of skeptics is actually just another mythological motif. In the traditional stories, lake monsters are said to disguise themselves as, or be misidentified as, floating logs… Ultimately, however, even traditional lore is subject to evolution. Modern versions of the lurking monster mythologem include “the mysterious submarine” or “the oversized sturgeon”, and there have been tie-ins with the UFO craze and even the black helicopters! Is there *anything* real behind all these purported observations? Meurger says he doesn't really know. Perhaps we are dealing with visionary experiences, but if so, they are hallucinatory in character, not genuinely “occult”. Perhaps people really do misidentify strange wave patterns, known animals, and so on. However, in both cases the “real” experience triggers an entire complex of myths which then moulds the experience in traditional channels. The person claiming a monster sighting isn't really an eye-witness, rather he is a folklore informant. Meanwhile, the scholar or scientist claiming that the bizarre chimera or merman is “really” a dinosaur or a sea-cow is setting himself up as a representative of Civilization above Barbarism. Renaissance and early modern scholars who professed belief in *some* naturalized monsters also had ideological agendas, such as proving that Scandinavia was just as good as the world of the Bible or Pliny.